Philips and DJ star Armin Van Buuren have paired together to create a set of pro headphones aimed at the DJ and electro crowd. 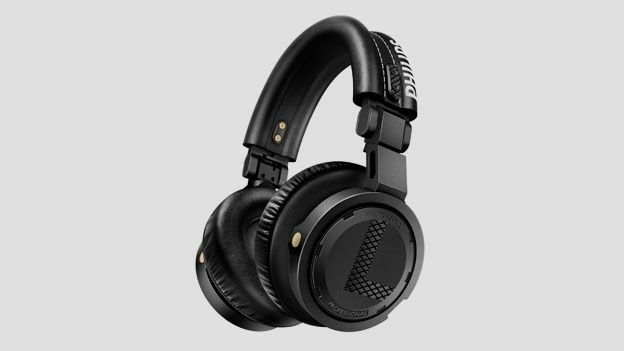 Armin van Buuren has teamed up with Philips to reveal some pretty mad-looking new over-ear headphones going by the moniker of the Philips A5-PRO. Van Buuren and Philips collaborated on the 'cans in order to, they say, create audio ultimate accuracy and clarity. And as such, they're targeting them at the professionals with, no doubt, a price tag to match. We're pretty sure these will provide some sweet listening though, as Van Buuren has collaborated with Philips before on the M1X-DJ boombox and iOS mixing device back in 2013. The Philips A5-PRO headphones are built around 50mm high-definition neodymium drivers engineered for 3500mW high power handling. Philips also touts the dual-sided locking cable units and replaceable soft isolating ear-cushions - the aim being for comfort and flexibility during long DJ sets. “After my passport, the first thing I take on the road with me is my headphones," said van Buuren. “Through my headphones I control everything. It needs to be a good piece of equipment because you're using it the whole night of your DJ set. Philips believed in my idea for the A5-Proand I believed in the idea Philips had." No word yet on how much the A5-PROs will cost or when they'll be released, but we'll let you know in due course. Meanwhile, this seems to be the week for new dance-focused headphones as DJ brand Pioneer has also unveiled a new range of in-ear and over-ear headphones.